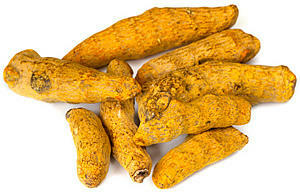 A study suggests that curcumin could help prevent hepatitis C from entering liver cells. Curcumin appears to have powerful anti-viral properties that could help to protect patients with hepatitis C after undergoing a liver transplant, researchers have found. Hepatitis C is a blood-borne virus that causes severe liver disease if left untreated and leaves many infected patients in need of a liver transplant. After a transplant, there is a risk that the virus remains in the body and may enter the cells of the new liver and cause re-infection, putting the future of both the organ and the patient in danger. Researchers at the Twincore Centre for Experimental and Clinical Infection Research in Hannover, Germany, set out to determine whether or not curcumin might help to prevent this. The team treated liver cells with curcumin in a series of lab tests and found that, although the extract had no effect on replication of the virus, it was effective at preventing the hepatitis C virus from entering liver cells. In addition, it seemed to help to inhibit cell-to-cell transmission and could be used safely in combination with other anti-viral drugs. Efforts to develop so-called 'entry inhibitors' that prevent hepatitis C from entering human cells are a key thread of research at the present time, but the latest study - published in the journal Gut - suggests a natural compound could be the answer. The study authors suggested that curcumin may prevent the entry of hepatitis C into human liver cells "by affecting membrane fluidity, thereby impairing virus binding and fusion". Health-conscious individuals who would like to boost their levels of curcumin may find it difficult as they will have to eat a fair amount of it in order to gain all of the health benefits. However, Really Healthy's AlphaCurcumin Plus addresses this problem, as the formula contains curcumin complex extract in order to concentrate the active ingredients. It contains a mighty 250mg of curcumin in each capsule - an amount equivalent to 7.5g of the spice turmeric. To add weight to its punch, Biocurcumax - Really Healthy’s unique formulation for curcumin - contains extra ingredients to make it more absorbable than curcumin alone. Other ingredients and enzymes have been added to aid absorption of the supplement further, while anti-inflammatories bromelain and quercetin are also added to the mix to enhance these properties.